The Milan Condominiums is having an exclusive VIP Broker Sales Event, with up to $23,600 in saving. Where innovation, passion, and sophistication converge, a world ranking residence will rise just north and east of Yorkville in Rosedale. Designed by E.I. Richmond Architects Ltd and Burka Architects Inc, The Conservatory Group is developing a 37 storey luxury condominium with 322 suites at 825 Church Street. Suites will range in size from 577 sq ft to 1319 sq ft.
Prices are starting at $389,900 to over 1 million. 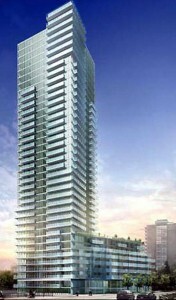 Contact me, if you are interested in this project or any other condo development in Toronto.